enclosed car hauler,,, must use 3/4 ton truck or larger to tow this!!!!!!!! this trailer empty weighs 3500lbs!!!!! weight capacity 5000lbs must have electric brakes!!!!! 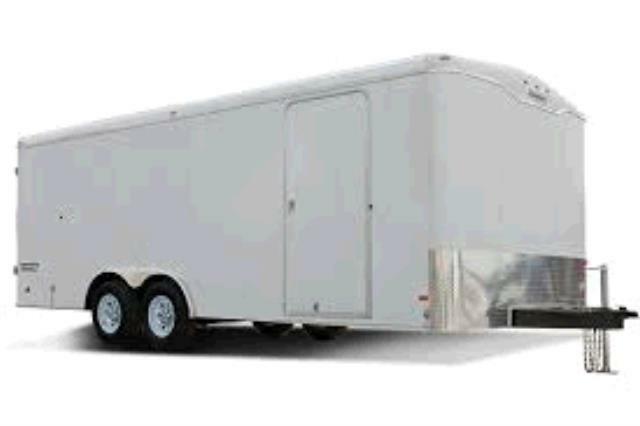 door opening height= 75" x width= 90"
* Please call us with any questions about our enclosed 7.5x20 foot 1 car trailer rentals serving Bensenville IL, Lombard, Des Plaines, and the Chicagoland Suburban Area.